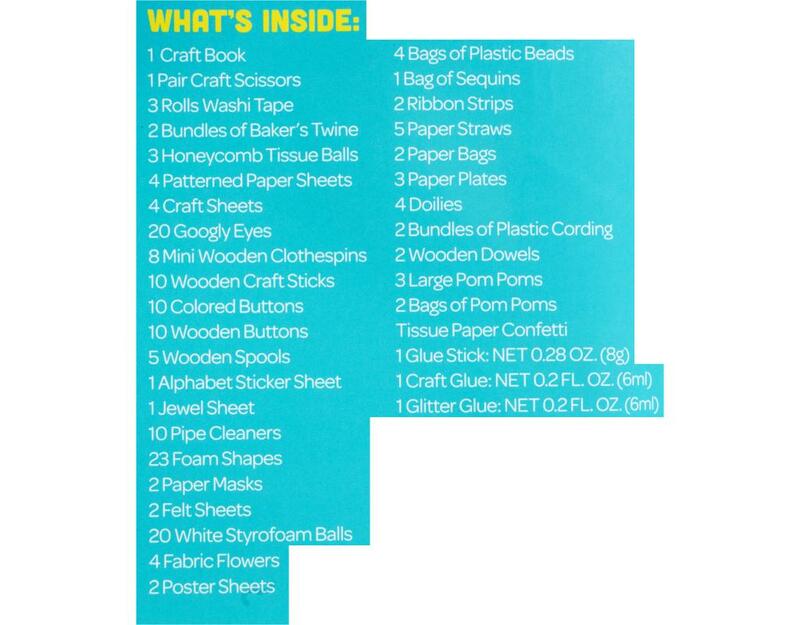 Everything you need for hours of crafting fun. 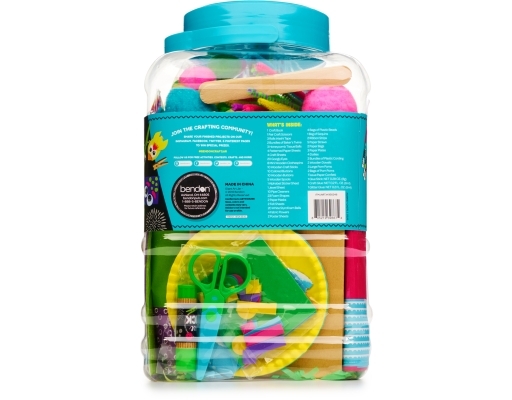 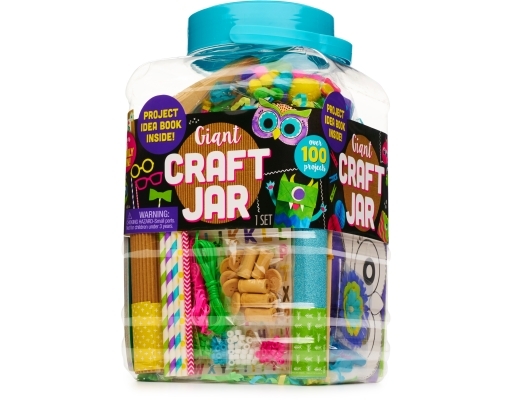 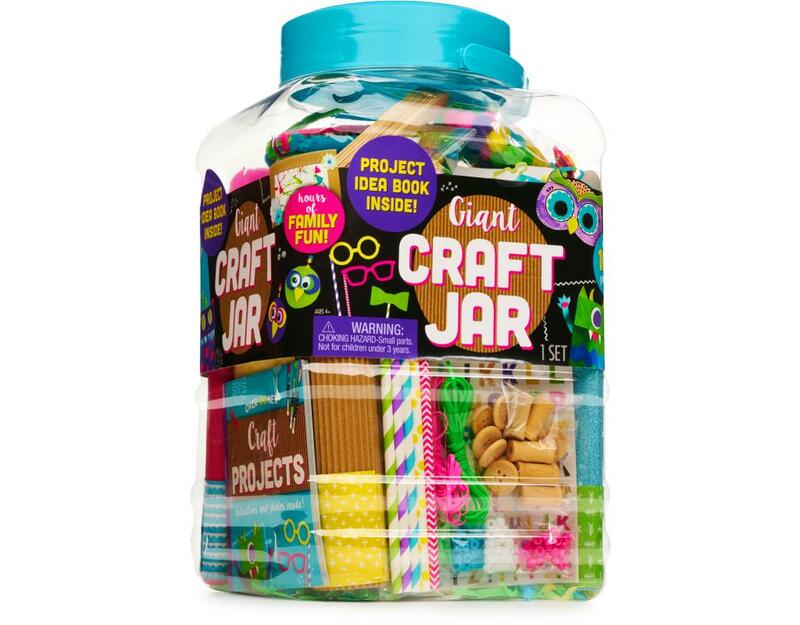 It's family fun at your fingertips with Bendon's Giant Craft Jar, filled with crafting supplies, project idea book, craft scissors and glue stick. 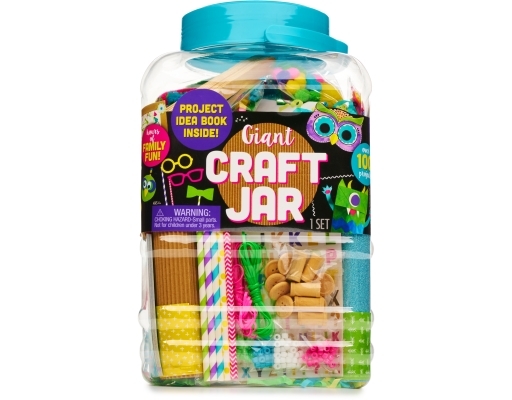 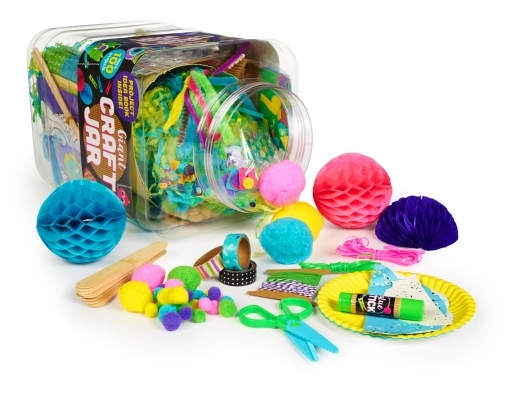 The jar is reusable and refillable so you'll always have all the glue sticks, stickers, sequins, pipe cleaners and googly eyes that you need, and more.